We’re joining forces with the X-Men! Unfortunately, we haven’t developed any cool powers, but there is one awesome thing we can do: give you an extraordinary raffle! 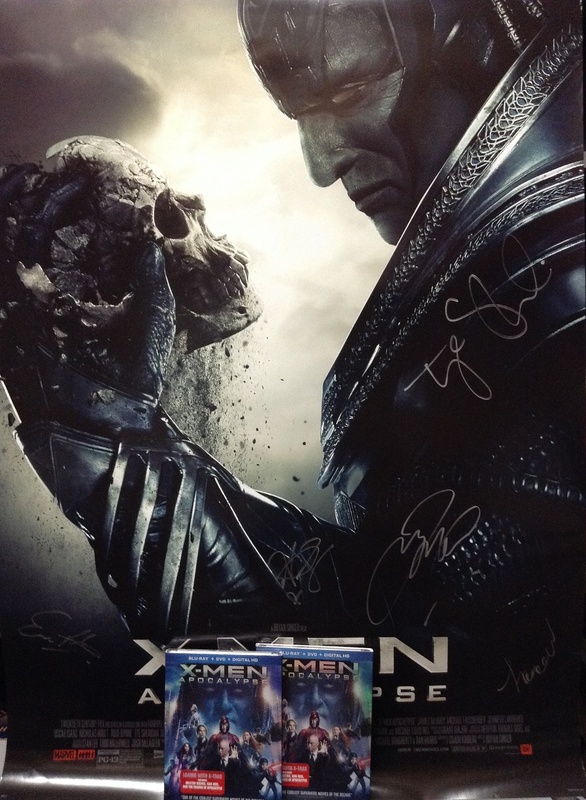 Two very lucky winners will receive a copy of X-Men: Apocalypse on Blu-ray AND a poster signed by several of the actors! Four runner-ups will receive just the poster, but that’s still one heck of a good prize! Enter below, Midtowners! Good luck! If you’re Longshot, you’re not allowed to enter – that’s cheating, dude! Winners will be contacted via email and must be able to pick up their prizes from Midtown Comics Times Square.